Hello my blog readers, have you been missing me? If you want to see me later tonight, I'm doing a live sale on my Facebook page at 9pm tonight (Wednesday) after baby sleeps. Mostly New with tags on or worn once only. Dresses $5 each. 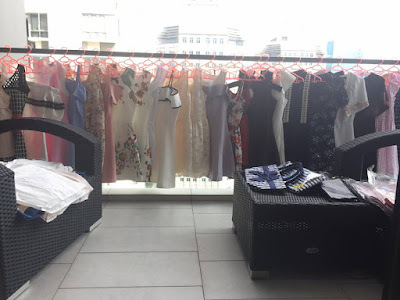 Tops, skirts, bags and shoes $3 each. First come first served. To buy while watching the live broadcast , just comment on the item number and say SOLD. And I will send out the PM (messages) to the first bidders of each item once live video has ended. U can also ask qns etc while the sale is going on live and I will answer them straight away. Like if u need a closer look at any item etc. By paylah or bank transfer only. to singapore address only using prepaid polymailers . $2 polymailer can fit 1 dress, or 2 if it's not too bulky ones. $3 polymailer can fit approx 2-3 dresses. Possibly 4 light dresses. Or pick up directly from 8 Irrawaddy road (anytime), u can walk there from Novena mrt. No other location meet ups.